Talk to your customers in their language. Share your documents with your global audience. Send us your annual reports, manuals, certificates, and more. Gain unlimited potential by selling your products and services in a whole new market—think global. Arm yourself with a team that has successfully localized 1000’s of software programs for a variety of applications. Give your app the edge it needs to get noticed in the competitive app store environment. Rest assured knowing that our translations are certified official documents, we stand behind our work. 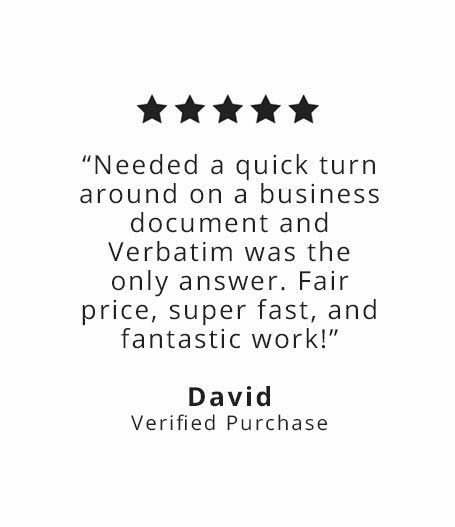 Send us your documents and get them back exactly how they were when you sent them . . . it’s that simple. Gain complete insight into your projects knowing they will be delivered on time and on budget—every time. Make sure your projects are 100% ready by having us review them—dotted i’s can be hard to spot in a foreign language. 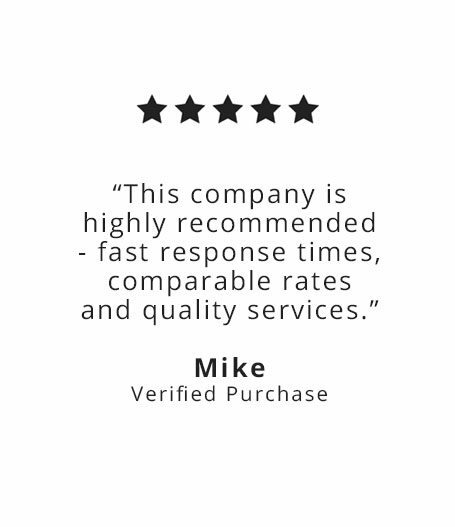 Join Over 50,000 Satisfied Customers! The moment you send us your translation project, you can rest assured knowing you are getting an incomparable service from a company dedicated to your needs. With a simple, quick phone call, you can talk with a live person. Our team of expert translators is here to make sure your projects are delivered on time and on budget—every time. You can depend on us for projects of every type and scope. 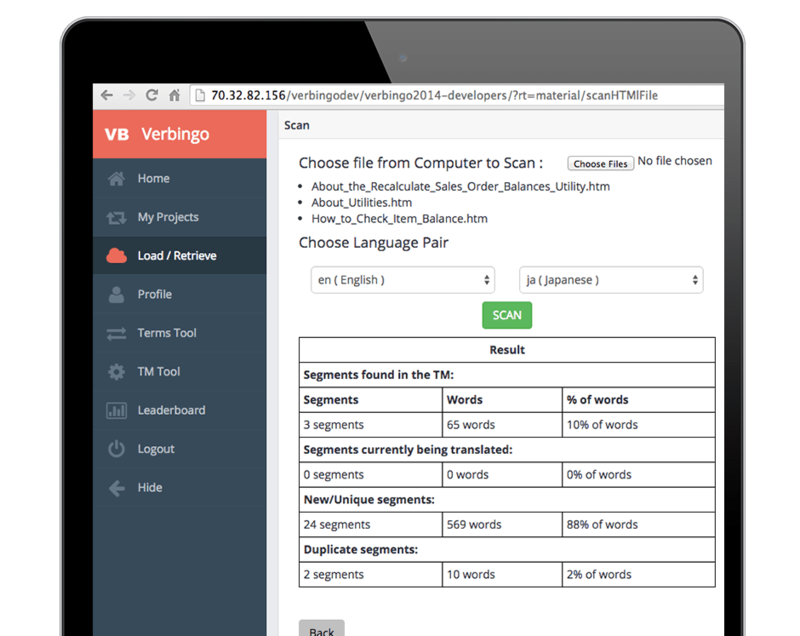 With Verbingo TMS (Verbatim’s translation memory software), you can do things that were never possible before. Introducing the next generation of translation memory software. 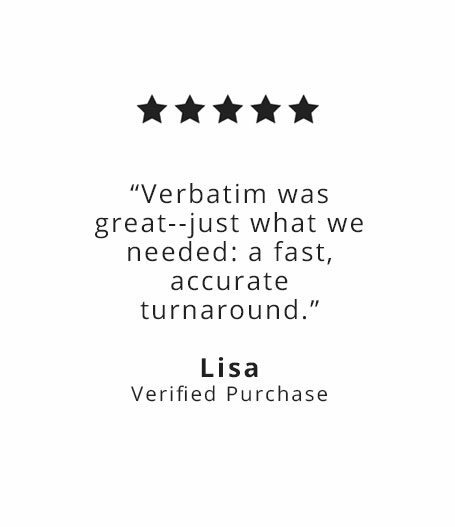 When your translation depends on accuracy, you can depend on Verbatim.